SURIN, 14 July 2016- The members of the TL have donated blood on 14 July aimed at to augment the blood resources of the health facilities. 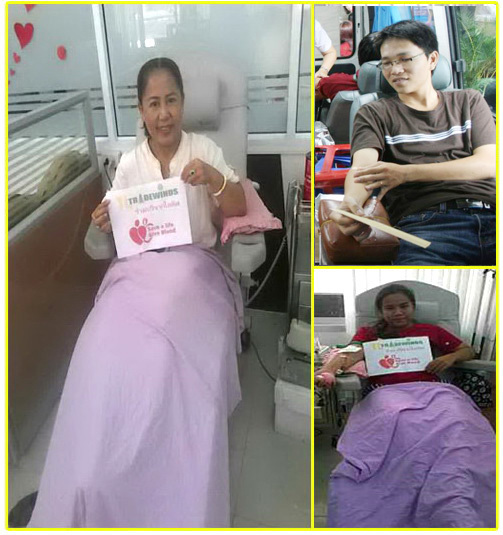 As part of TL's many community acts of giving throughout the year, Chairperson Khun Nitcha, management executives and employees participated in the company's now annual 'Blood Donation Day : Save a life , Give blood'. The company has now held a Blood Donation Day for the last 3 years, and this event is now a permanent feature on the company's calendar. In Buddhist belief, the act of giving freely of oneself is the greatest gift you can give - Thais call this: 'Tanbarmi Paramattha'. Donating blood for others in need is a true act giving of oneself. Blood donation surely has to be seen as an act at the highest level of 'Tanbarmi Paramattha', a supreme act of giving of oneself, just the same as giving an essential organ of the human body to give life. Thai Buddhists truly believe that passing on their 'true giving' will give benefit, joy, happiness to others, and by freely giving will mean the circle of life will never end.